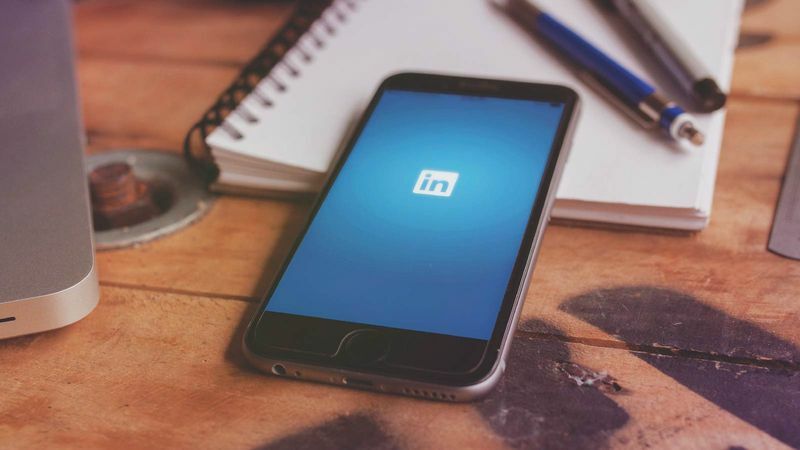 On Tuesday, LinkedIn announced that it has redesigned LinkedIn company profile from the root and is launching out the new features for LinkedIn Page experience. 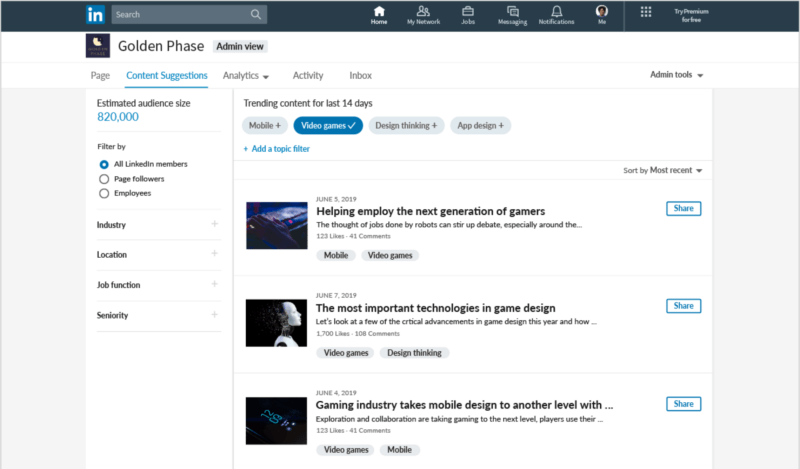 The new design will include a content suggestion tool for Page Admins, a suite of tools that benefits businesses to engage employees on the platform in a better way with advanced analytics. However, The newly designed features provide businesses more opportunities to connect with this user base and analyse content that is most relevant to their audience. Moreover, these features are currently available for US users, with plans to expand globally in the coming weeks. With this feature, page admins can show up the content by first choosing a topic and then filtering selections by location, job function, or seniority level. Moreover, admins will also be able to add customized CTA buttons to posts and drive specific actions. This feature lets Page Admins post content to employee feeds to increase engagement. It is a part of a suite tools to help companies connect with their employees on the platform. On the other hand, page admins will be able to discover and re-share content posted by employees and further re-share any posts on LinkedIn where a company’s Page is mentioned. 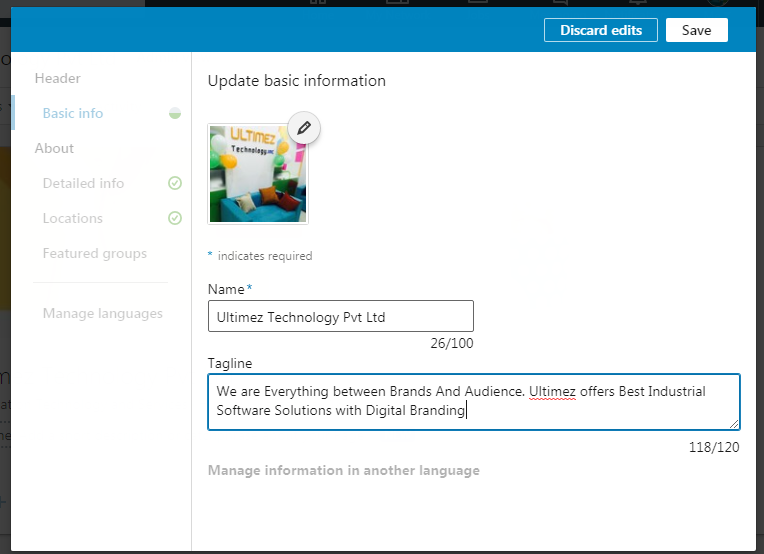 Suddenly a new feature on LinkedIn caught my eyes that eventually allow page admins to add taglines for their page but unfortunately, the feature was not editable. However, it is now enabling. Page admins can add catchy taglines with maximum 120 characters, which eventually enhances the page and attracts more users. Further, LinkedIn Page Admins will now be able to post updates and respond to comments using LinkedIn’s mobile app.